It’s been a while, but I’ve been taking care of some personal business, enjoying my summer, and trying to keep my hair and skin under control with the summer sun, sand, and of course, chlorine. Being Italian and Greek I’m a hairy, greasy mess most of the time, so I end up shaving almost every other day during the summer and if I’m not a complete oil slick by the end of the day, I’m dry as the Sahara. It’s been a trial that I’ve dealt with since I was old enough to wield my Schick Silk Effects Razor when I was 10 years old, but it’s something I’ve also learned to manage which leads me to the subject of this post. I wasn’t introduced to Aquaphor until I was 18, sitting in a tattoo parlor getting my Ankh tattoo on my lower back. My tattoo artist (who has since inked me three more times in total), recommended that I use it to help my tattoo heal since it’s thinner than A&D, and it absorbs a bit easier. I’m all about easy, but after my ink healed I was quick to throw my Aquaphor in the bathroom vanity until winter came and I was cursed with dry hands. However, summer skin can have its own pitfalls, and this was the summer I discovered that Aquaphor is amazing for all of those summer girly problems we encounter! Here’s how to make the most of this amazing little tube of awesome (and at less than 5.00 a tube, you really can’t go wrong). Bikini line blunders: I’m a sucker for shaving against the grain every now and then before a beach day or a pool party. It’s a beauty no-no, but if you apply some Aquaphor right on your bikini line after shaving (the right way or wrong way like me, haha) you’ll be smooth and bump free! This stuff has saved me on a number of hair removal expeditions. Chlorine skin: My swimming pool turns into my part time gym in the summer which means that I spend about an hour in it every other day just for working out sometimes. That results in my already sunburned skin getting dry and itchy much like the winter. Regular moisturizer just doesn’t cut it for me. I add in a squeeze (about a penny sized dollop) of Aquaphor to my body lotion for an extra pump of smooth delight. It’s not greasy like A&D and it mixes in seamlessly with your regular body lotion! Peeling and picking: Did I mention I’m a picker? I pick at sunburned peels, bug bites, and pretty much anything else that I can imagine. DO NOT PICK! I have scars from years ago from picking at my body! Instead of picking, slather a tiny dab of Aquaphor on your sunburned skin, or scabbed over bug bites. Tell me it’s not gone and healed the next morning. I probably won’t believe you. So, if you’re a dry skin slave, or you just want something simple to put on your body without a ton of additives and fake colors, this is the stuff for you! Have you ever used it? 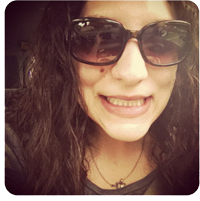 What are some of your own year-round beauty products that make you smile? wow this product sounds amazing! i never heard of it but i should definitely try it out…i’m a sucker for products that have multiple uses. LOL @ your greek & italian comment. my greek and italian friends complain about that too! though mainly the italian ones…they’re always complaining about their hairyness lollol! I am a picker, too! It’s like a compulsion or something. lol I’ll have to try this so I can stop that. I have so many scars it’s ridiculous. Sounds like an amazing product. I hate the icky feeling I have when I put lotion or sunblock on my skin though. I agree with you there! i used to be a picker as well (when it came to pimples in the past).. gosh they would scar so bad. i’ve definitely learned to just leave them alone or else they scar like crazy! i have heard good things about aquaphor. i’ll have to try it! i even heard some people use it on their lips? i’ll have to try it. must be really good ointment for protection. thanks for sharing :]. lmao I need to stop reading girl blogs, because I’m finding them harder and harder to relate to….. yet I keep coming back here lol… consider it a compliment! So yeah… I’m a picker too, I guess, but I’d never touch a sunburn peel… I find them so gross. One time I was dating a guy and he wanted to peel it for me. He said he enjoyed it. Uhh yeah… I was more than just a little freaked out lol. I think I actually have this product. It was reccommened to me by a co-worker because I have eczema. I will have to try it on my bikini line sometime. I don’t usually use it very much. At least not in the summer. I guess I will have to take a closer look at it. I’ve tried using Aquaphor before. It’s really great. It was introduced to me by a friend and it really works. Also, it’s not too expensive so you don’t have to worry about your budget. 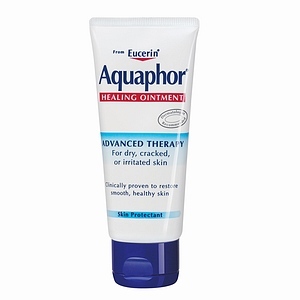 A friend of mine recommend Aquaphor and I can say that it’s really an amazing product. Very effective indeed! Since then I’ve become a fan of Aquaphor. Good for tattoo healing AND pickable scabs, you say …?! Holy crap, I think they need to rename it to Mallophor, because it sounds as if it were made for me! Definitely intriguing, I’m gonna considering buying this at some point, most def! This sounds amazing. I hope it also works for prickly heat and eczema.